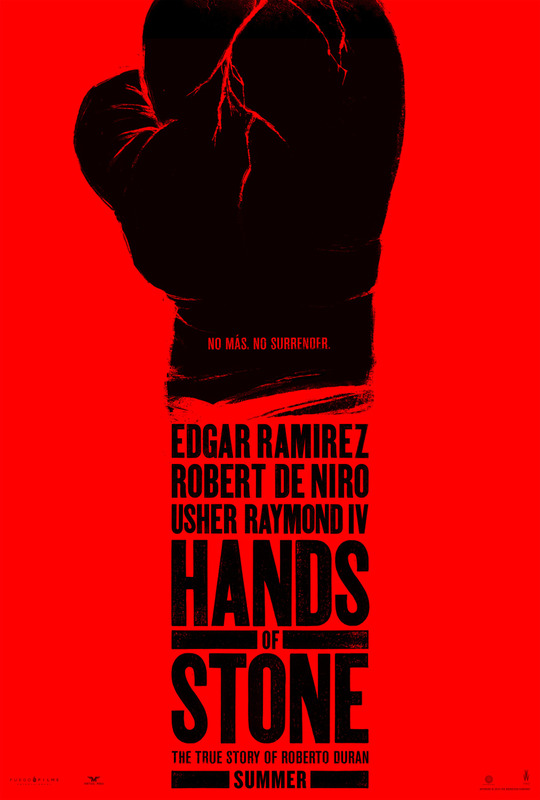 “Hands of Stone” tells the story of how the legendary Roberto Duran and his celebrated trainer Ray Arcel changed each other’s lives. From 1964 through 1983, in the heart of the golden era of boxing, the film explores the true life tale of Duran’s infamous rivalry with Sugar Ray Leonard. Two time Academy Award® winner Robert De Niro stars as legendary trainer Ray Arcel, a Jew from Harlem who became the first boxing trainer to be elected into the Boxing Hall of Fame. He trained more than 2,000 fighters in his 70 year career, and none of them were ever seriously hurt. The movie captures his comeback after a retirement forced by the Mafia. Arcel agrees to train Duran for free, risking his own life, and beginning a journey that will change him forever.